CURRENT VALUE stands as one of the producers at the very forefront of experimentation and renown in 2016 – a creator truly reaching the top of his game and one who has walked an unmistakable path across the Drum and Bass landscape. He has consistently delivered a style so unique that it sets him far ahead of the pack, evident in both his unmatched experimentations in synthesis and his trademark finely crafted percussion which is as evident in both his heavy but stripped down sound of today as well as the relentless amen barrages of the past. From beginnings that included extensive training in classical piano and SAE qualification, Current Value has made it his life’s work to consistently evolve and explore new possibilities in both sound design and arrangement. 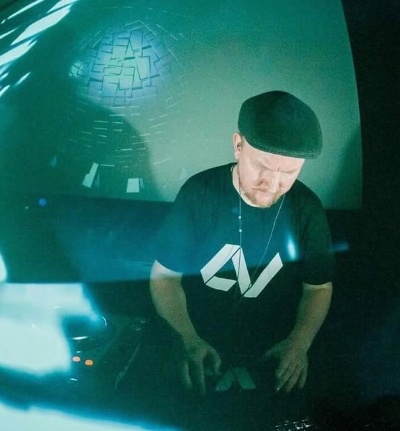 His long career has seen him working with Bjork as part of her Biophilia LP, remixing Noisia and Foreign Beggar’s track ‘Soul Purge’ for Mau5trap and having his tracks dropped by Aphex Twin. He established himself as one of the most consistent and essential voices of harder, more experimental forms of dnb - being a core part at the center of the heavier end dnb for many years and releasing countless records on labels such as Position Chrome and Freak Recordings, as well as being a figurehead for the Therapy Sessions. But it was in 2015 that he finally emerged within the ranks of the genre’s elite and moved into a wider area of dnb. Opening the year with the release of ‘BINARY 004’ on CRITICAL MUSIC, he unveiled to the world a new strain of his sound – the combination of just a few intricately designed audio elements with the exact balance required to deliver a powerful punch. This was swiftly followed up with the release of the ‘NITRO’ EP on leading neurofunk label BLACKOUT – further establishing the weight of his evolved direction and delivering an EP that saturated the dnb scene, with tracks appearing in a huge number of mixes from across a wide spectrum of the genre as well as getting BBC airplay. This was followed by his induction into Noisia’s revered INVISIBLE RECORDINGS imprint with ‘COTTON PUNCH’ and ‘TWILIGHT STATE’, as well as the release of his ‘FORCE BLACK’ EP on the legendary BAD TASTE RECORDINGS. If releasing on all of the major neuro labels of the present wasn’t’ enough – the year was capped with another Blackout EP - ‘ROCKET SCIENCE’ – and a mighty collaboration between PHACE & CURRENT VALUE – ‘WILD THING’ - featuring on a release alongside scene titans Noisia, Mefjus, Rockwell & Culprate; as well as a collaboration with MAZTEK in the form of ‘FEEDBACK ECHO’ on Berlin’s Subsistenz label. In the year ahead, 2016, things are set to step up in even further – with the release of a new LP on one of the most revered labels of our time, as well as a special collaboration with MEFJUS set to drop - undoubtedly set to be one of the highlights of dnb for the year. Other releases coming in early 2016 include ‘Pelham 123’ forthcoming as part of ‘MethLab // 2’ on Bad Taste Recordings. Current Value is set to cast a large shadow as one of the dominant, well-respected and prolific names in drum and bass.